The Northern Nevada Law Enforcement Academy is a Nevada approved Peace Officer Standards and Training (P.O.S.T.) Academy . 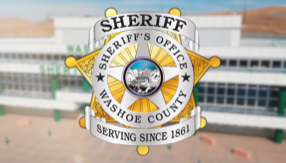 The Academy is a cooperative effort between the Reno Police Department, Sparks Police Department and the Washoe County Sheriff's Office. The basic P.O.S.T. Category I course is approximately 20 weeks in duration. The class schedule is Monday through Friday, 8:00 a.m. to 5:00 p.m.; however, there are occasional evening classes. The curriculum consists of both academic and physical training. All applicants considered for attendance in the Academy must complete academic and physical testing as well as a law enforcement background investigation before consideration for acceptance. Recruits must attend all instructional phases of the program, unless excused by the staff. Attendance is required by state law for P.O.S.T. training. All recruits must maintain the established minimum score on all exams. Recruits unable to pass any phase of the Academy will not be allowed to continue. To be eligible for P.O.S.T certification in the state of Nevada, recruits must achieve acceptable levels of academic, physical fitness and practical skill performance. Recruits may be asked to voluntarily withdraw or may be dismissed for violation of any of the Academy rules, including, but not limited to conduct, poor preparation or neglect of studies, basic lack of academic and/or psychomotor skills, failure to meet appearance standards, excessive absence or tardiness, cheating or disruptive behavior. Traditional, verbal and written exams. Performance in role playing, hands-on training, and demonstrated motor skills. Physical training is an integral part of the Academy program and all recruits will be required to participate and meet the minimum training standards. Because the training standards require recruits to participate in a variety of strenuous activities, each recruit is required to have a physical examination and complete a medical history form prior to being hired by an affiliated law enforcement agency and accepted into the Academy. Required standards of performance will be reviewed within the first week of the Academy. The P.O.S.T. basic Academy physical conditioning program is designed to prepare you to pass the fitness final at the end of the Academy. The program will train you to design your own fitness program so that you can maintain an elevated level of fitness for the rest of your life.